Have I really NEVER written a tutorial for a paper plate bunny? 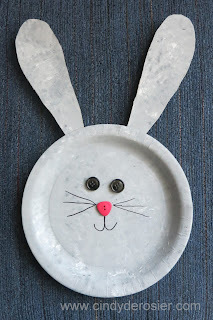 It's hard to believe, considering I've shared 15 bunny crafts and a handful of paper plate crafts over the years. Time to fix that. Begin by putting a coat of gesso on the paper plate. 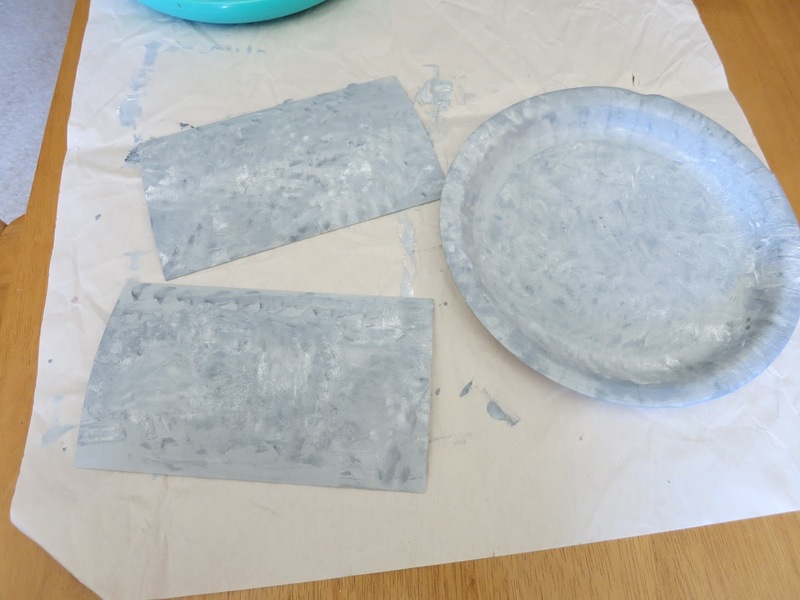 This step is important if you have a shiny, slick paper plate. You can skip it if you're using a very inexpensive plate with no coating. 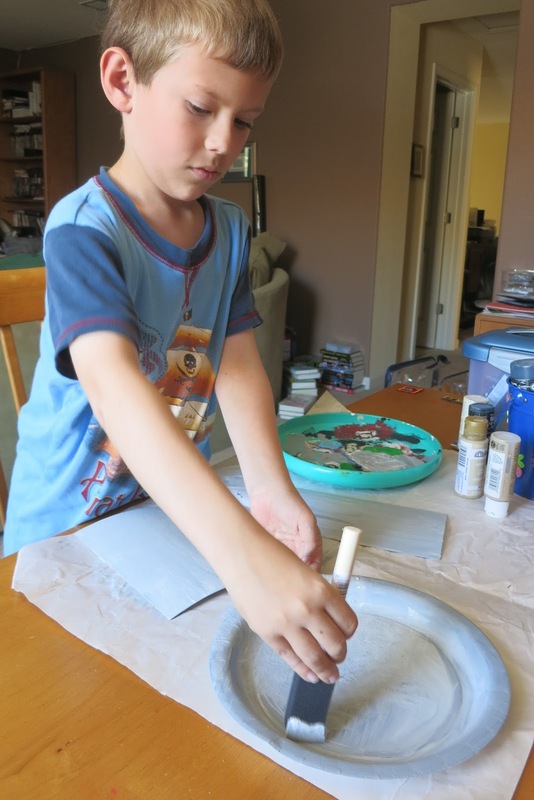 While the gesso is drying, mix paints to create the color(s) you want for your rabbit. Trevor mixed black, white and tan to get the grayish-tan of Trouble's fur. When the gesso is dry, pounce paint onto the plate to create the look of fur. Use the same technique to paint the chipboard. When the paint is dry, cut out ear shapes from the chipboard. Use a hot glue gun to attach the ears to the plate. Draw a bunny mouth, then glue the button eyes and nose in place. Draw in bunny whiskers and that's all there is to it! Good Luck to Trevor at the County Fair! His bunny is absolutely adorable!